Esri joined the White House, U.S. Department of Housing and Urban Development, U.S. Census Bureau, eight cities, and more than a dozen developers last month to kick-off the Opportunity Project. The project aims to expand access to opportunity to every American, across every geography, using open government data. 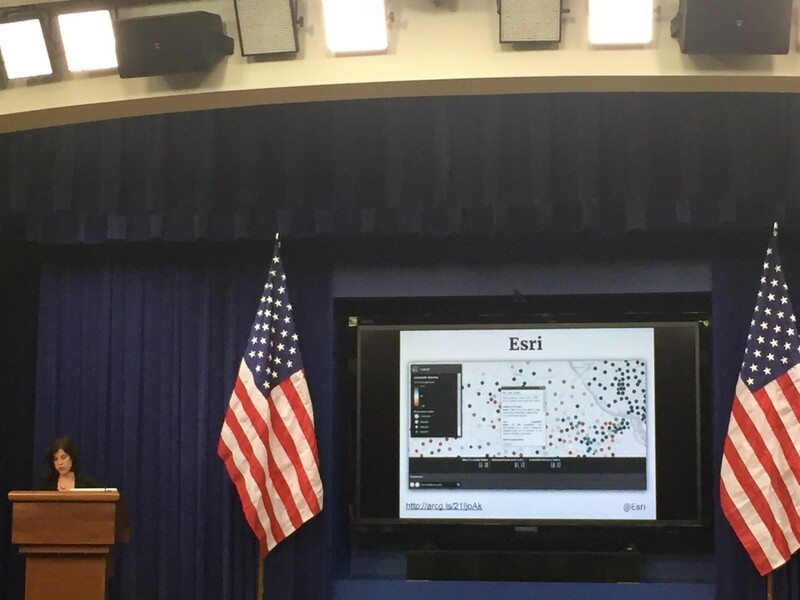 The ArcGIS platform highlighted at the White House Opportunity Project event in March. In the months leading up to the launch, the Esri team supported the federal agencies and White House to create accessible, highly usable digital tools, and to integrate the opportunity data into existing tools in the ArcGIS Platform. Esri is incorporating opportunity data into the ArcGIS platform, Community Analyst and Business Analyst tools. These solutions host nearly a million user sessions monthly, making opportunity data easily found and used by future planners and software developers. Opportunity data is accessible through the ArcGIS platform, including this app created with Esri Web AppBuilder. This app enables individual users to easily combine selected variables from any of these data sets to inform decision making. That’s not all. Esri is also adding capabilities to normalize information models across different government data services so people can understand and compare cross-jurisdictional opportunities. Check out this Story Map to learn more about the Opportunity Project and Esri’s contributions to the movement here. Opening data for the sake of opening data is not enough. 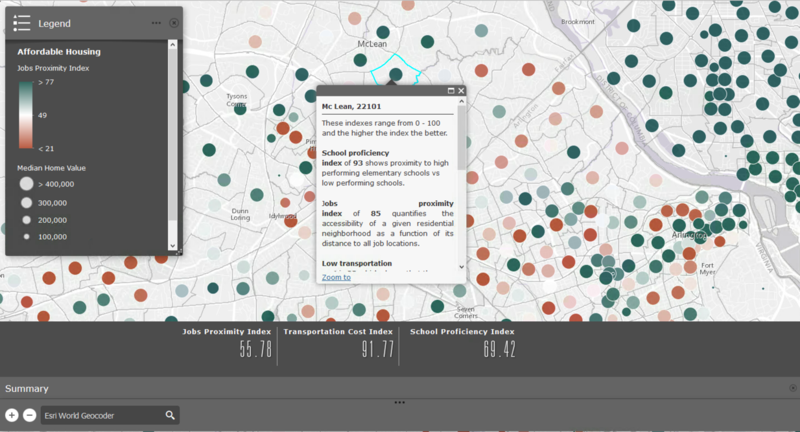 Making open data actionable empowers change at every level. During the Opportunity Project event, U.S. Chief Data Scientist D.J. Patil emphasized the need to create meaningful information products that invoke emotion and inspire change. As Jack Dangermond has said, “Maps are the best medium for communicating.” We at Esri have been communicating action through maps since 1969. Check out the White House Fact Sheet and learn more about the Opportunity Project, by visiting opportunity.census.gov.